Something for everyone in your family, big and small. Hello fellow parents (and people who love them)! Being a parent isn’t your WHOLE identity, but we don’t know you or what you’re into (Jogging? Harry Potter? Cats? ), so you’ll need to find gift ideas for those interests elsewhere. BUT! Being a parent IS a big part of who you are, so we’re here with the cool parenting stuff you might want, like pregnancy products, baby products, parenting books, subscription boxes, cooking must-haves, and more! We’ve also got recs for useful kid gifts and family games you can play together! Happy Holidays! 1. This smart changing pad and scale that tracks your baby’s weight gain, feeding amounts, and diaper changes. The data is sent right to your phone. Your baby will like it, too, as it is soft and comfortable even with all the technology inside. 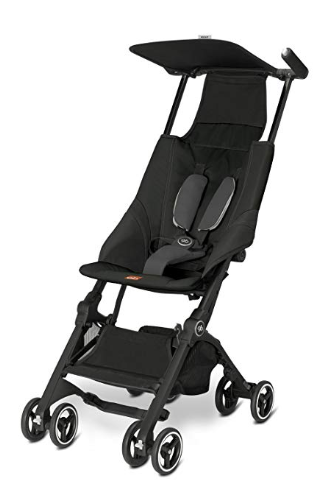 Get it from Hatch Baby for $129. 2. This next-level breast milk baby bottle. —Warm and cool breast milk twice as fast as a regular bottle (so you don't have to listen to your baby cry nearly as long as you warm the bottle for those late-night feedings). —Preserve nutrients in breastmilk more than a regular bottle. 3. This babywearing shirt for dads. New dads (or dads in general) will appreciate this shirt which is easier to use than a baby wrap or carrier. Dads simply slip their baby into the pouch kangaroo-style to start calming — and bonding with — their new baby. 4. This smart baby monitor that gives you peace of mind by tracking your baby's breathing. The monitor tracks your baby by sight and uses no cords, wires, or wearables — so it follows the safe sleep guidelines of the American Academy of Pediatrics. Get it from Smartbeat for $249.50. 5. This cleverly designed diaper bag that makes changing — and feeding — a baby easier. Yes, it's an attractive bag, but the extra features — like the easy access diaper dispenser on the side, insulated bottle holder, and changing pad — are what make it stand out. 6. This keepsake box is specifically designed to organize and save mementos from your child's first four years. Drawers, files, and mini-envelopes will organize your baby's first sonogram, favorite blankie, birth certificate, first lock of hair, first tooth, and more. Get it from Savor for $79.95. 7. The world's smallest folding stroller, which can fit in a bag. Perfect for traveling (you can even bring it on a plane as a carry-on to fit under your seat) or apartment living. It's strong too — it can hold a kid up to 55 pounds. 8. 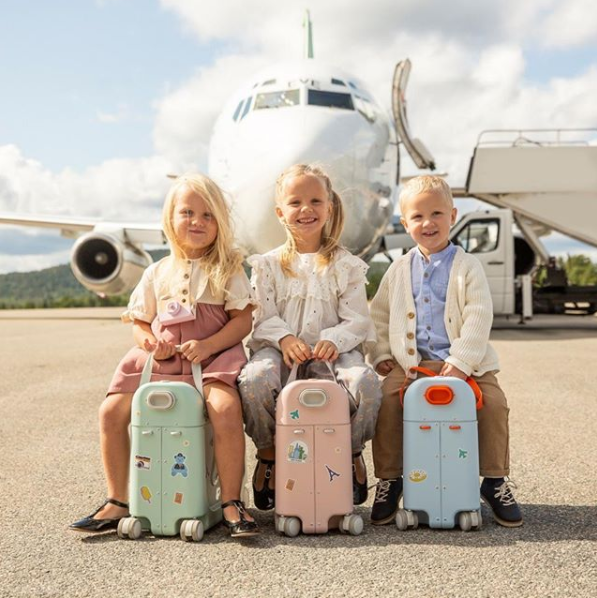 This cool ride-on suitcase transforms into a bed for your kid once you're on the plane. Get it from Amazon for $149 plus shipping. 9. This inflatable pregnancy pillow that you can use as a raft in the pool. Whether you use it in your bed or pool, it will help alleviate lower back pain thanks to its unique design. Get it from Amazon from $54.99. 10. 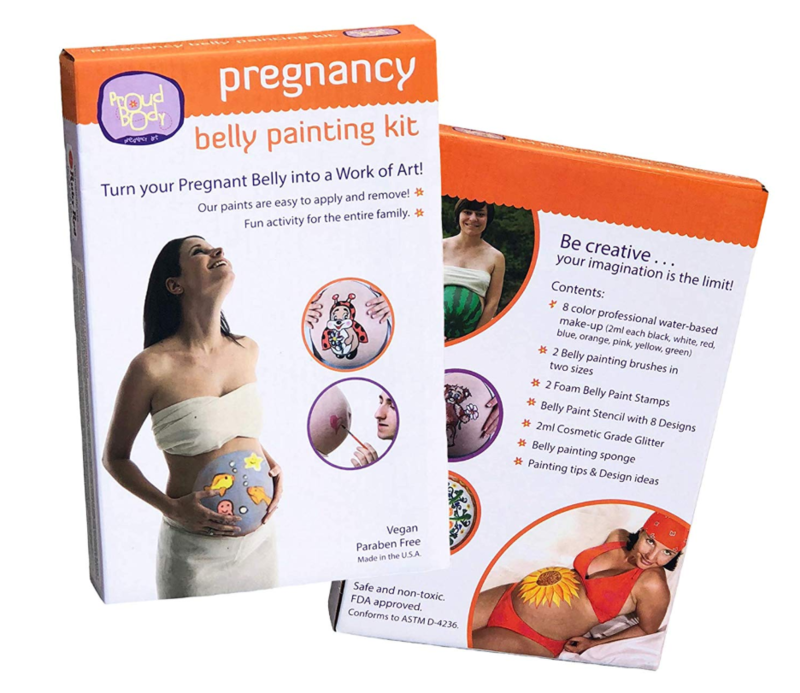 This DIY pregnant belly painting kit is a little silly and a lot of fun. The kit features stencils, glitter, and stamps for a number of cute designs, and makes a fun activity for the whole family. 11. The Big Fat Activity Book For Pregnant People is perfect for helping you pass the time — and momentarily forgetting how uncomfortable you are. 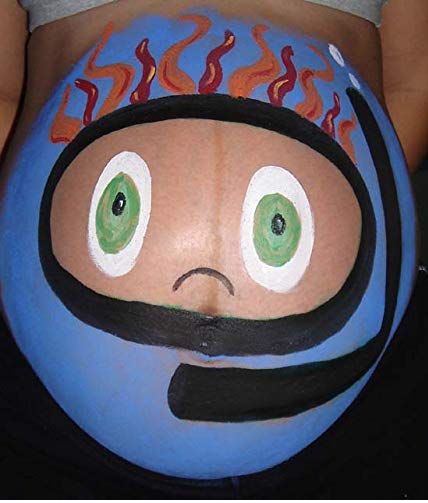 The very funny activity book is filled with quizzes, mazes, fill-in-the-blanks, journaling pages, and real-talk on what pregnancy is like. 12. Dads and dads-to-be will get a kick out of Home Game: An Accidental Guide to Fatherhood by Michael Lewis (the writer behind The Blind Side and Moneyball). Lewis decided to keep a written record of what actually happened immediately after the birth of each of his three children, and the result is a very funny and honest account of what being a dad is like. Get it from Amazon for $11.07, Barnes & Noble for $12.56, or at a local bookseller through Indiebound. 13. Bump boxes, which feature relaxing items tailored specifically to the trimester you (or a loved one) is in. Featuring belly butter, bath soaks, and more! You can also sign up for a monthly subscription box. 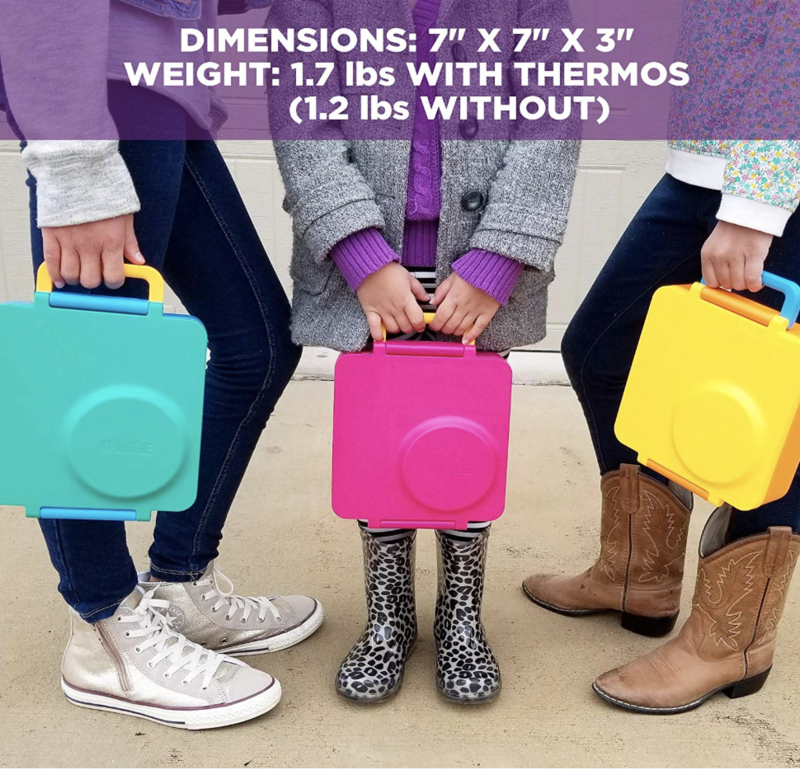 Order one for the trimester of your choice from Bump Boxes for $49.99. 14. The Rad Dad Box makes a great gift for a new father. Each box is filled with fun and useful products welcoming a dad to fatherhood. This one is available as a subscription box as well. Get a standard box from Cratejoy for $25, or the deluxe box for $40. 15. Speaking of subscription boxes, this Little Feminist one is terrific for the kiddos in your life. 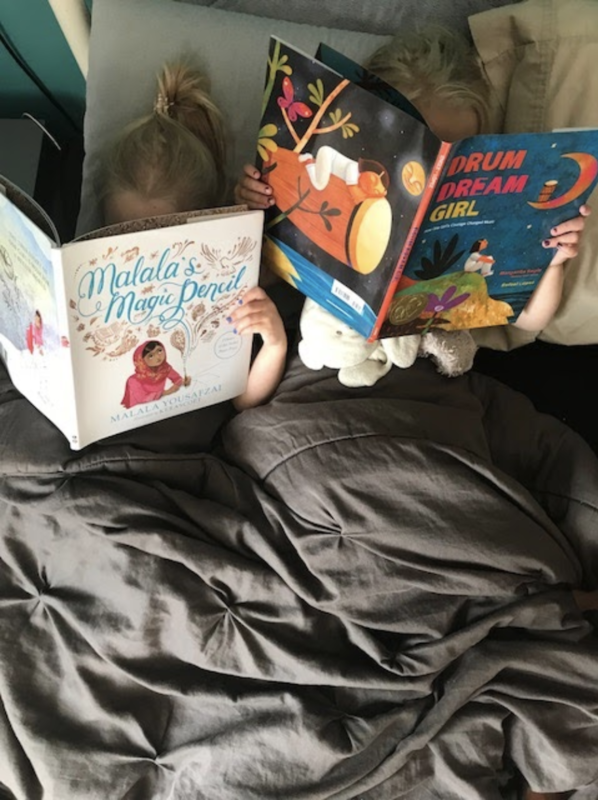 Each month your kid will get 1-2 books that feature strong female characters and/or people of color plus activities that help the books come alive. Get a three-month subscription from Little Feminist for $63. 16. 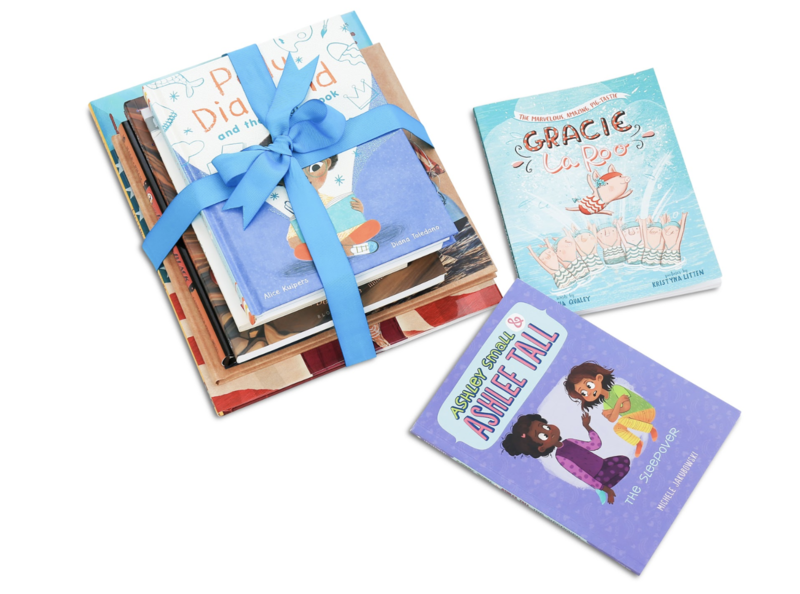 The Little Global Citizens subscription box is also a great learning lesson for kids. Designed with ages 3-8 in mind, each box brings a new country to life through books, interactive crafts, educational games, fun family activities, and more. Get a bi-monthly subscription from Little Global Citizens for $32.95 per box. 17. These mama bear necklaces are sure to melt a mother's heart. You can customize the necklaces — featuring a mama bear made out of silver and baby bears made out of bronze — to the size of your family. Get it from UncommonGoods for $120-160. 18. 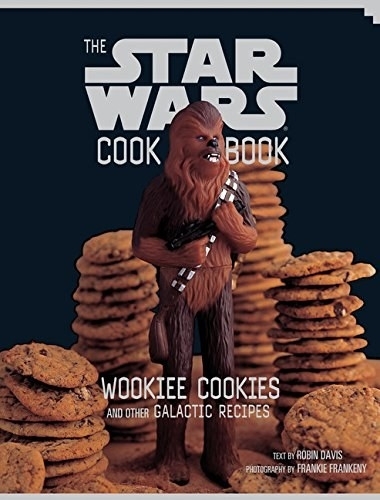 The Star Wars Cook Book: Wookiee Cookies and Other Galactic Recipes is fun for the whole family (assuming you're Star Wars fans). 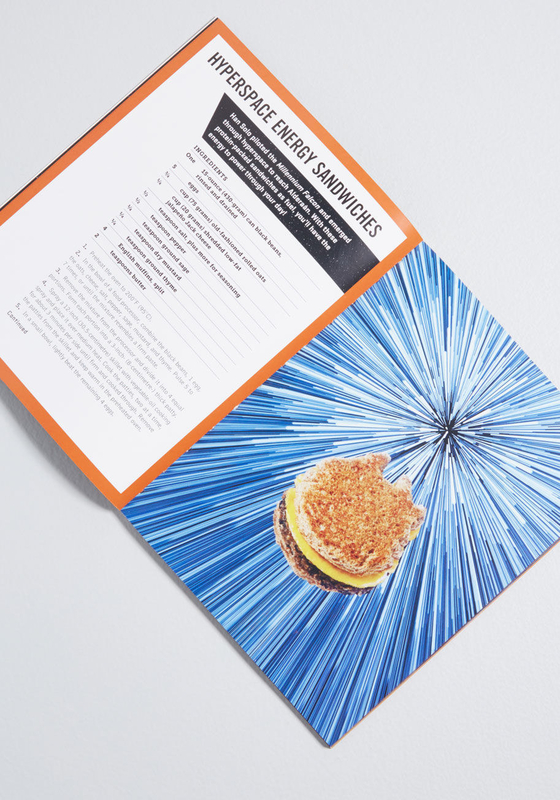 The book is presented in a very fun and engaging way, and features recipes like Boba Fett-Uccine, Wookiee Cookies, C-3PO Pancakes, and Jedi Juice Bars. Get it on Amazon for $14.79 or with cookie cutters from ModCloth for $23. 19. These stainless steel popsicle molds make popsicles that are impressively superior to the ones made by plastic molds. Popsicles freeze quickly and come out of these molds easily. Order them from Amazon for $31.60. 20. This dinosaur ladle is sure to bring a smile to your kids' faces. Kids who enjoy cooking would also love getting this, I bet! Get one from Amazon for $12.97. 21. This Spaghetti Monster Colander is also sure to make cooking and eating fun for the whole family. In addition to being super fun, it's also just a quality colander. Get one from Amazon for $17.60. 22. This pizza oven box lets you make pizzeria-quality pizza right at home. Individual pizzas can be cooked in as quick as 2-4 minutes. Get one from Bakerstone starting from $99. 23. 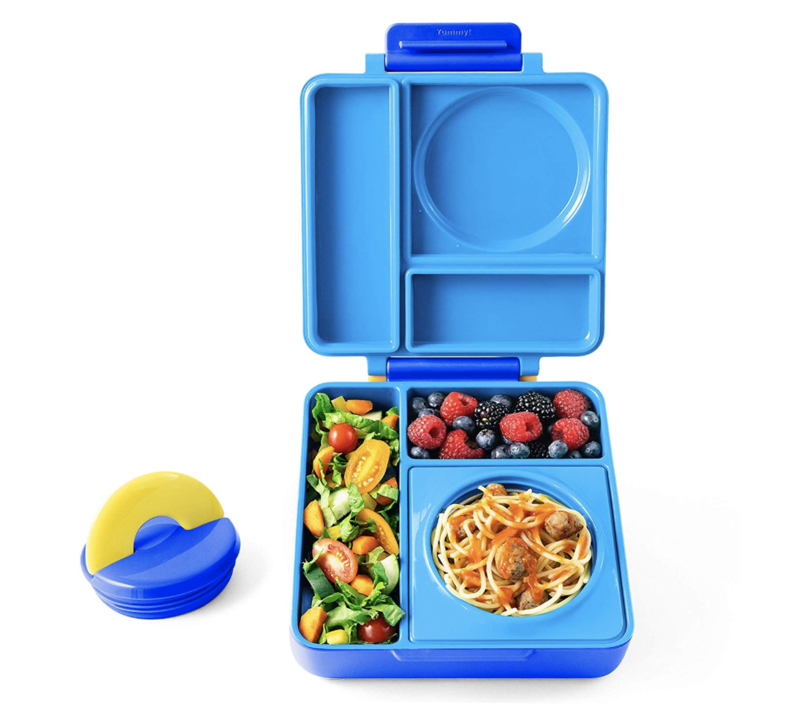 This insulated bento box is a game changer for kids — and for the parent who makes their lunches. No more boring lunches with the same thing every day. These boxes let you mix hot and cold items, and include out of the box (or, in this case, in the box) items like salad and spaghetti. Get one from Amazon for $39.50. 24. Kids with glasses will love these eyeglass buddies, who wear their glasses at night so they don't get lost or broken. These cute buddies will help put an end to the all-too-common and frantic "WHERE ARE YOUR GLASSES?!" searches of your house. Get one on UncommonGoods for $30. 25. 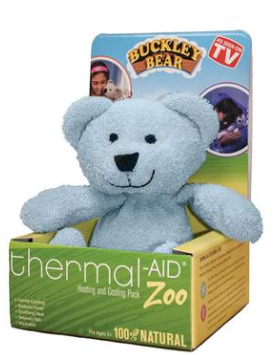 These thermal-aid stuffed animals make giving your kid hot or cold treatments a whole lot easier. 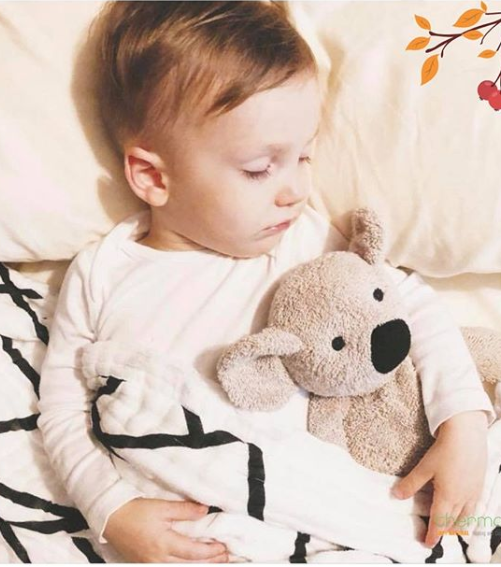 Getting your sick or hurt kid to actually use a hot or cold pack can be a challenge, but these stuffies —which can be heated in the microwave or cooled in the freezer — are a game changer. Get one from Thermal-Aid for $19.99. 26. These gummy bear lights make a dream night light for a sweets-loving kid. All you do is squeeze their belly to illuminate the LED light. Get one from UncommonGoods for $27.99. 27. This matching "pizza and slice" T-shirt/onesie combo makes an adorable gift for a dad and baby. Order a pair from Amazon for $19.99. 28. This "Don't tell me to smile" shirt is ideal for the little feminist in your life. Get one from Wired and Honey for $25. 29. And this shirt (rejecting toxic masculinity) is terrific for the awesome little dude in your life. Get one from Wire and Honey for $25. 30. This giant Connect 4 game is a blast for a backyard, picnic, or even for playing indoors. It's easy to set up and move, and fun for kids of all ages. Get one from Amazon for $88.49. 31. This Giant Timber game (which is basically a giant version of Jenga) is also sure to create a lot of outdoor family fun. Get one from Amazon for $79.95. 32. Not Parent Approved is a very funny game for families with kids 8 and older. It's basically Cards Against Humanity, but family friendly. 33. 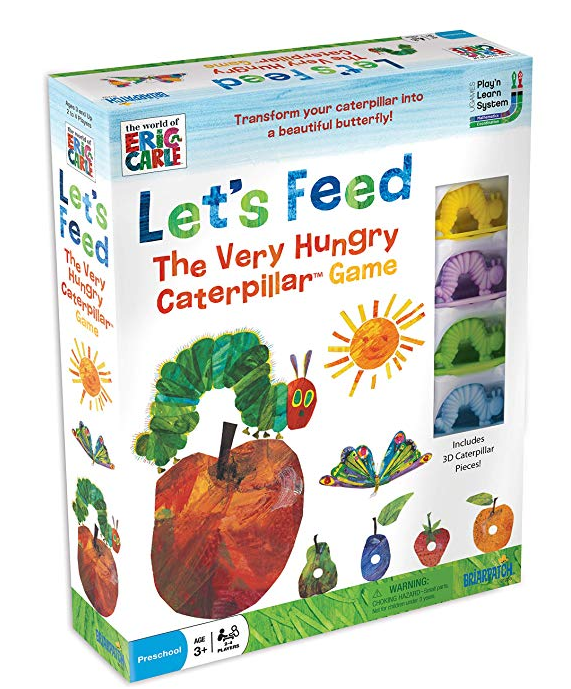 For even younger kids, Let's Feed The Very Hungry Caterpillar Game is a terrific family game that members ages 3 and up can enjoy. 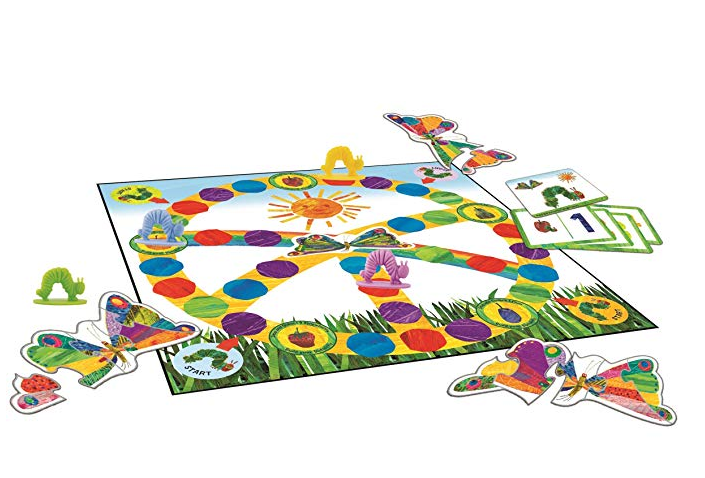 Based on the classic book by Eric Carle, players transform their caterpillars into beautiful butterflies while learning counting and decision making. Get one from Amazon for $13.96.